How can I export / backup the passwords saved in Microsoft Edge? Many people save the passwords for different websites so that they don’t have to enter the passwords again and again, but what if you forgot the password? All web credentials are stored in an encrypted form and Microsoft Edge doesn’t provide an option to view the saved passwords. In this tutorial we’ll show you a simple way to view & export Microsoft Edge saved passwords using a reliable tool – Password Recovery Bundle. How to View or Export Edge Saved Passwords in Windows 10? 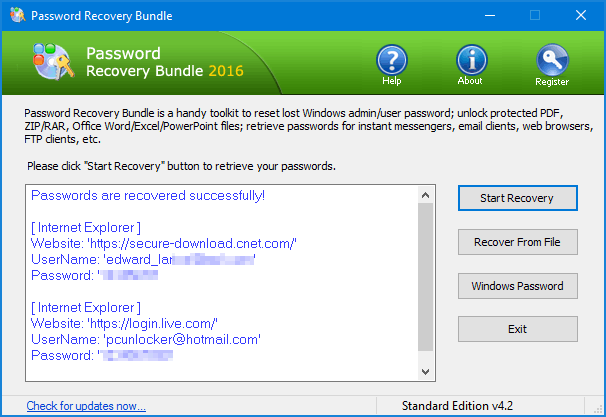 To get started, click here to download Password Recovery Bundle. Once the download process is complete, double-click the setup file to install it on your Windows 10 computer. 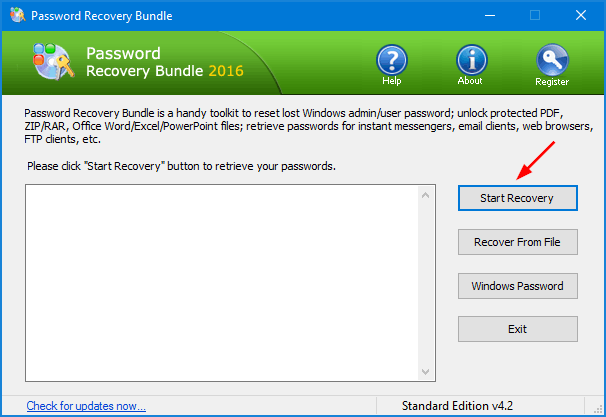 Run the Password Recovery Bundle program. Click the Start Recovery button, and then select “Internet Explorer (Edge) Password” option from the drop-down list. It will decrypt the encrypted Vault files, and show you all saved passwords in both Microsoft Edge and Internet Explorer. Select all passwords and paste them into a text file for safe keeping. The most painful part of a computer crash is often the loss of data. It’s an important best practice to keep a backup of Edge saved passwords, especially if you use Microsoft Edge as your primary browser.